Being a staple for some time, many riders have come to love he REV'IT! Apache H20 Boots. They are REV'IT! 's top end adventure touring boot geared for all seasons and conditions. They are waterproof and breathable and feature a steel shank reinforced sole as well as a full leather and composite outer for protection and strength. The Apaches also have enough "beef" to them to keep you comfortable for both temperature extremes. 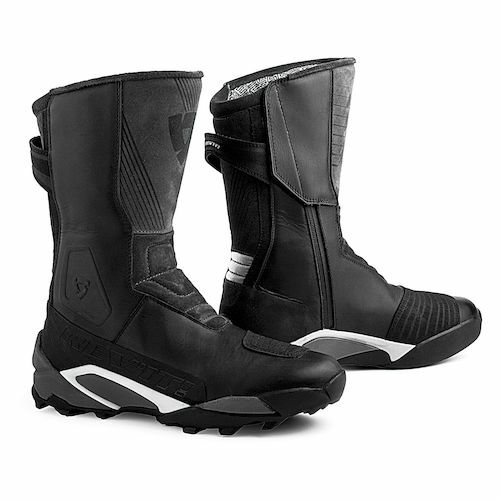 Many folks ask us about our boot recommendations when they are buying motorcycle jackets like the REV'IT! Cayenne Pro or Dainese D-System. The REV'IT! Apache's perform on the same level as the duely revered Sidi Adv Boots as well as the TCX touring lineup. Any questions, comments and discussion welcome.